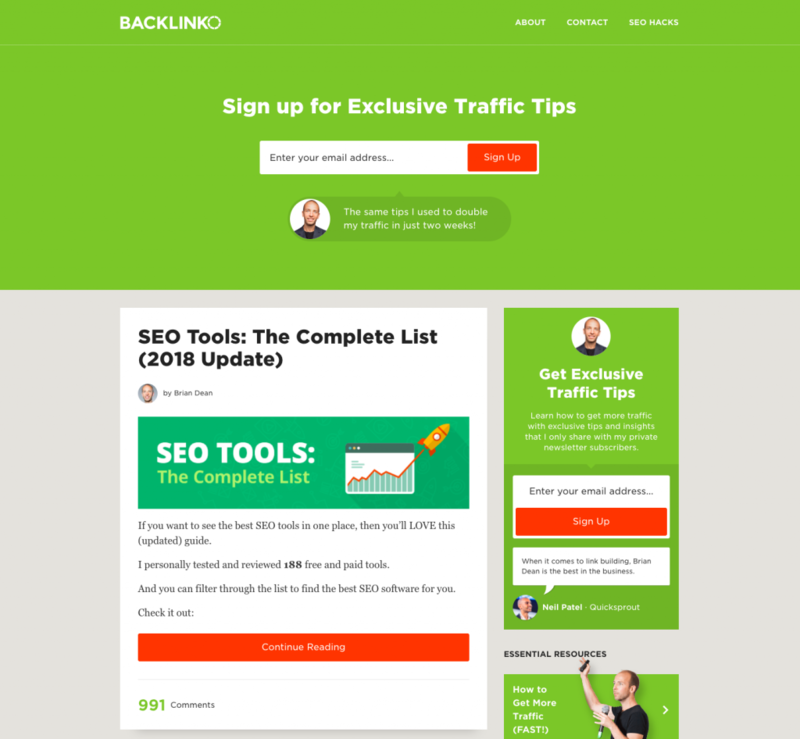 As a web designer or a developer, knowing where to look online for all the best news, tips, tools, freebies, tutorials and other useful resources is pretty important. We’ve collected some of the best web design and development blogs around for you. Now go grab a cup of coffee and enjoy reading. 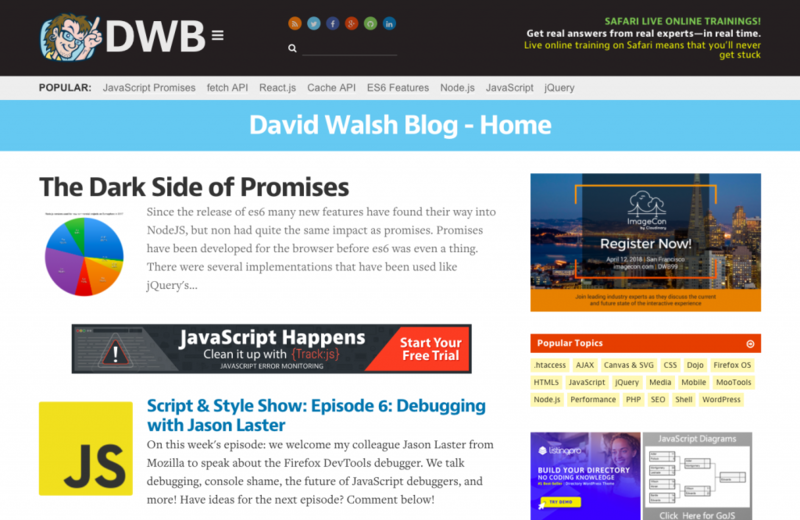 In no particular order, here are 10 must-read blogs for web designers and developers. 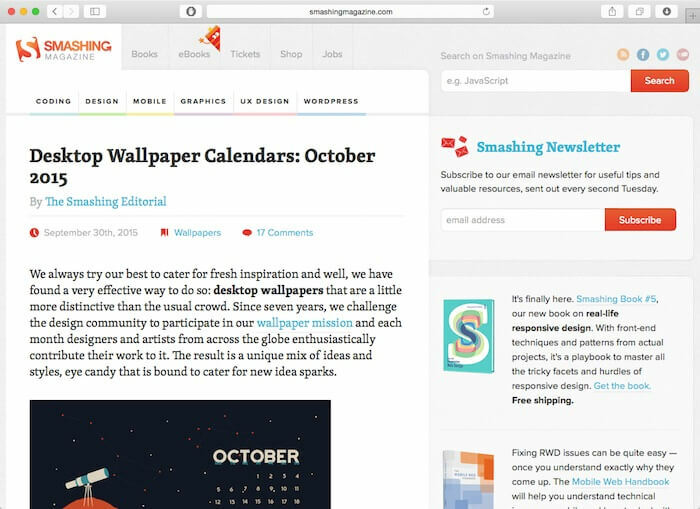 Smashing Magazine has been around since 2006, and the depth and breadth of their blog reflects it. Coding, design, mobile, graphics, UX Design, WordPress… it’s all here! For designers that want to go in-depth, this is a phenomenal resource. 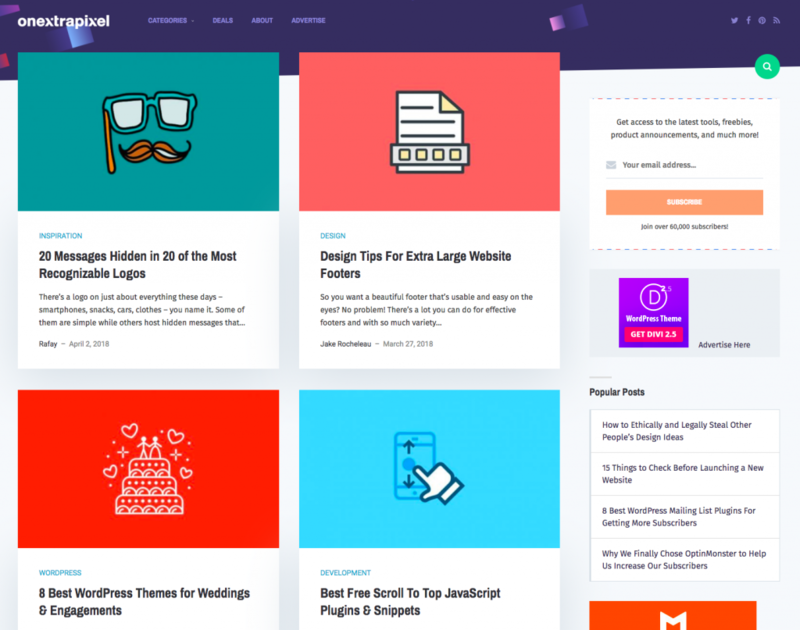 If you are a front-end developer or web designer, you’ll find a lot of useful tutorials and code snippets on Codrops. Furthermore, Codrops also discusses more general topics of web design and how the role of a web designer has evolved over the years. 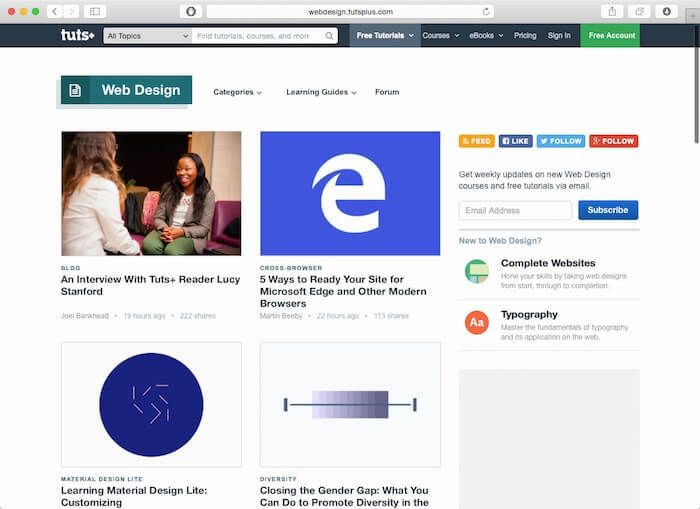 If you want to keep up with the latest in web design, you have to be willing to study and learn on an ongoing basis. At Tuts+, you will find tutorials on a variety of topics, from creating WordPress themes, to introducing new CSS elements to your site. If you want to stay on top of your game, there’s plenty for you to sink your teeth into at Tuts+. There probably aren’t too many web designers who haven’t at least heard of Hongkiat, as their articles tend to rank pretty high in Google. If you can name a topic, you can probably find it here. Plus, there are viewpoints offered by a variety of different contributors. Hongkiat continues to remain a vital blog for web designers. 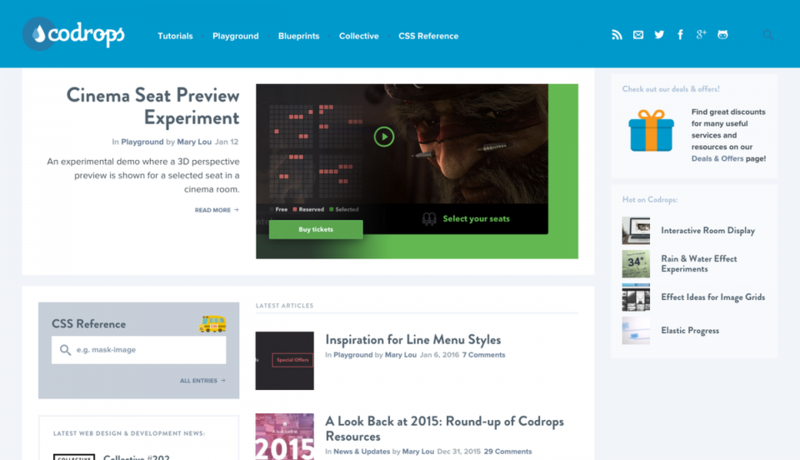 CSS-Tricks is a web design & development blog by Chris Coyier. 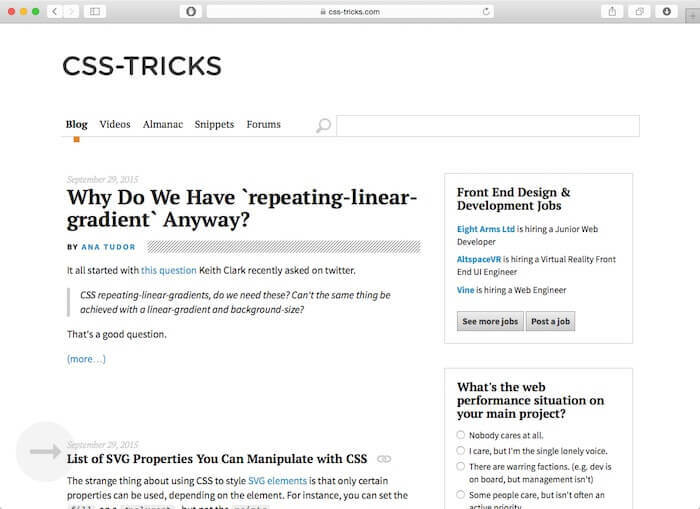 Back when it launched in 2007, CSS-Tricks was all about just what its name suggested – CSS. Today, however, it has since expanded to include all topics related to web design and web development. 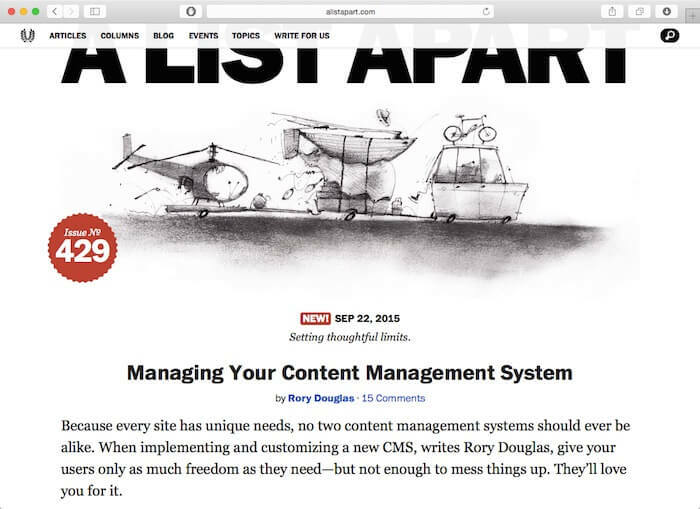 A List Apart focuses on web standards and best practices of web design and development. 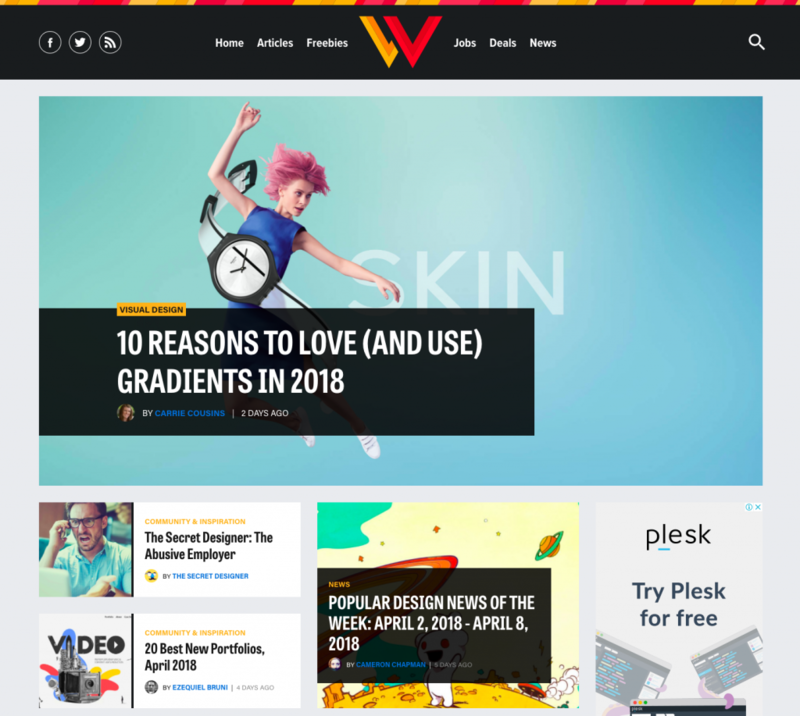 They feature insightful articles from industry leaders on various topics such as accessibility, brand identity, responsive design, layouts and grids, typography and fonts etc. Speckyboy was launched in October 2007 as the personal freelance web design homepage of Paul Andrew, located in Scotland. 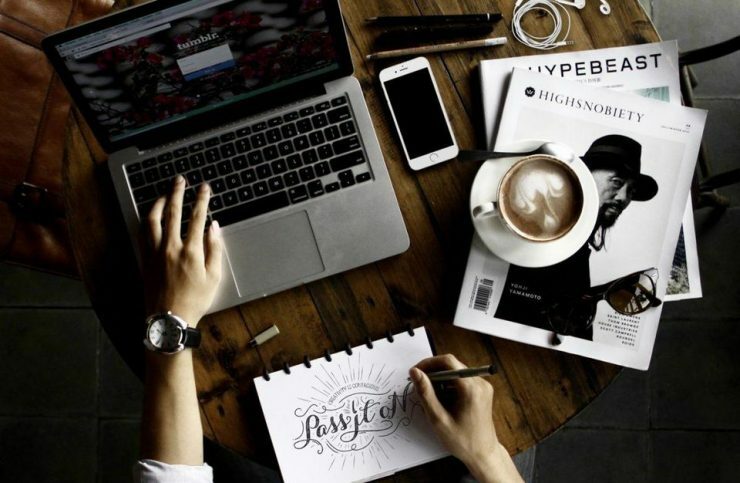 Somewhere along the way, Speckyboy became one of the most influential design blogs on the Internet, receiving around 1.9 million page views each month. 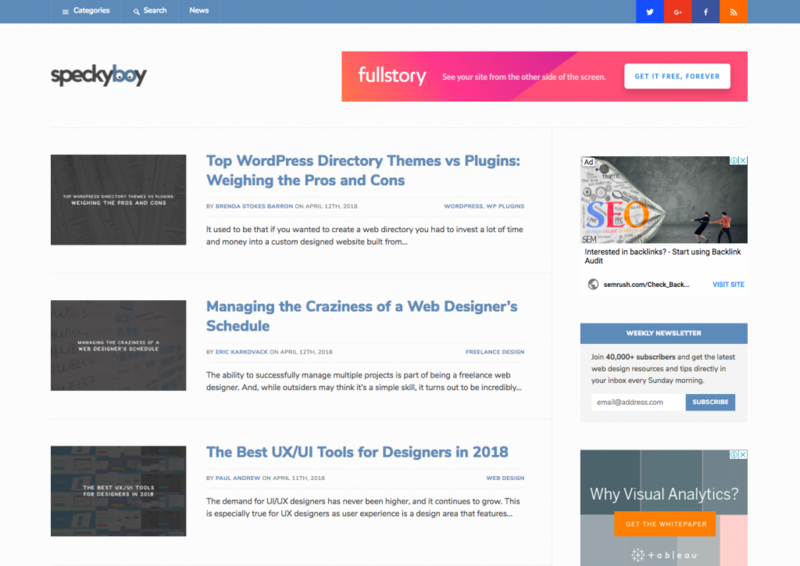 Speckyboy offers insightful tutorials, time saving techniques, fresh and useful resources and inspirational art, covering web design and development, graphic design, advertising, mobile applications and even the occasional Lego post. Invision is a great prototyping, collaboration & workflow platform for web designers. 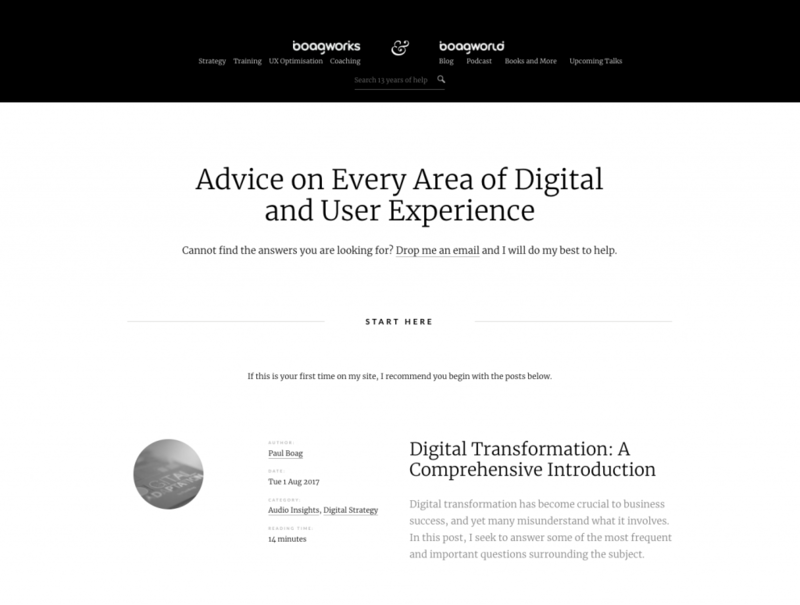 And there blog offers some great insights for web designers. Topics range from modern UI/UX Design, Design Inspirations, Productivity to Web Design Business Development. 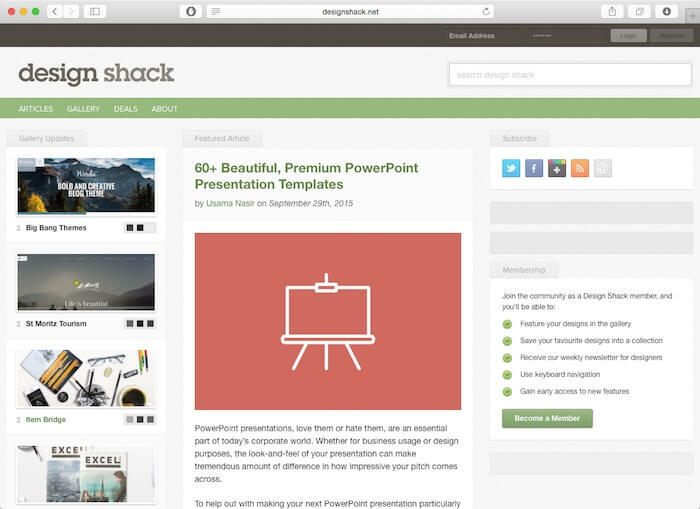 If you are looking for business-related articles as well as design-orientated content, you will probably like design shack. It covers everything from freelancing tips to CSS hacks which will help you to craft better web designs. 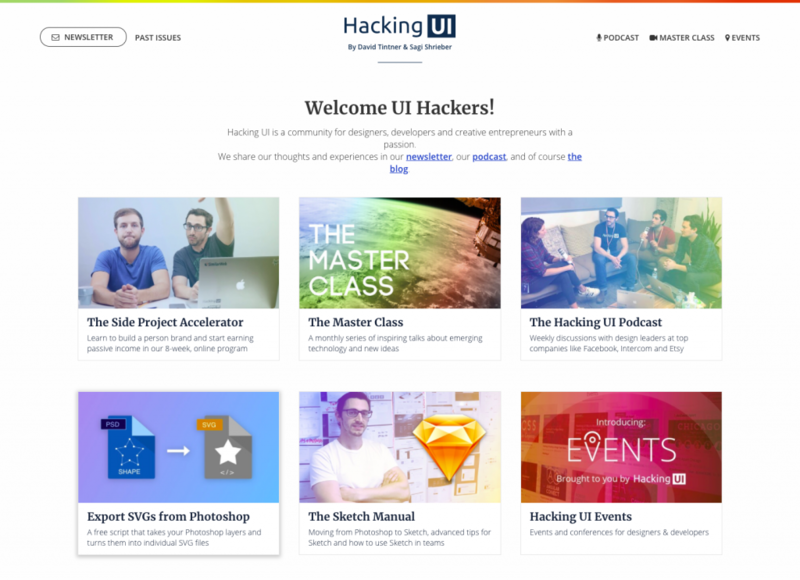 Hacking UI is an interaction design and front-end development magazine. It was founded by Sagi Shrieber (designer) and David Tintner (developer). Therefore, you’ll find a good mixture of design- & development-related articles here. 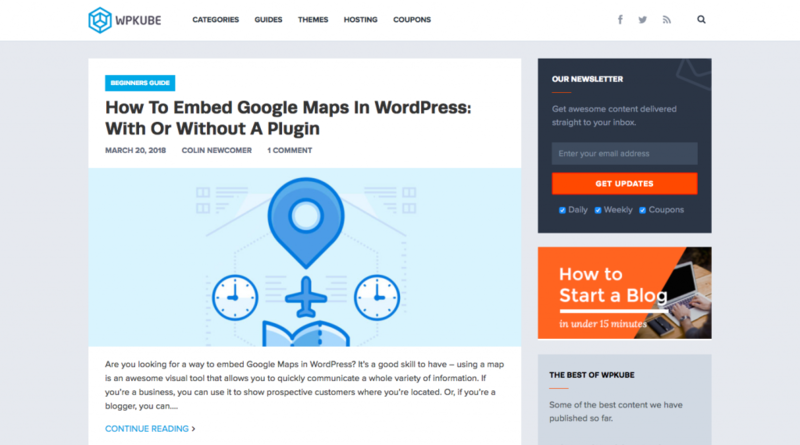 WPKube is an online WordPress resource which focuses on WordPress tutorials, How-to’s, guides, plugins, news, and more. Founded by Devesh Sharma, the main goal of this site is to provide useful information on anything and everything WordPress. 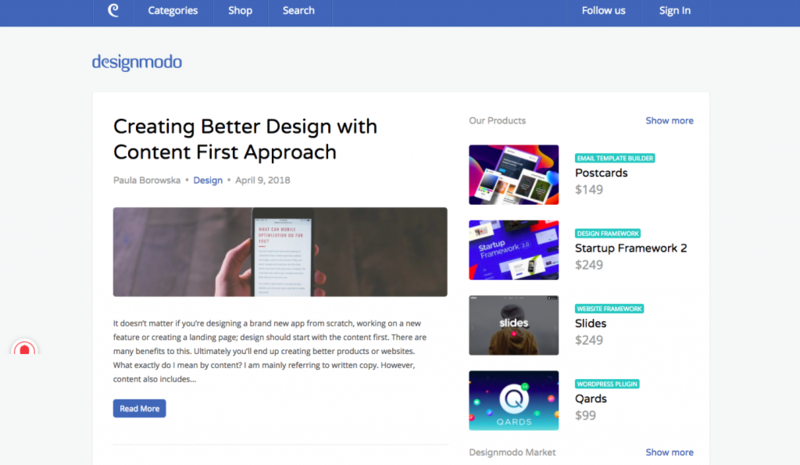 Designmodo is a web design blog as well as shop for web design resources, UI Kits and tools. You can also get hold of many quality freebies such as UI Kits and icon packs from this site. 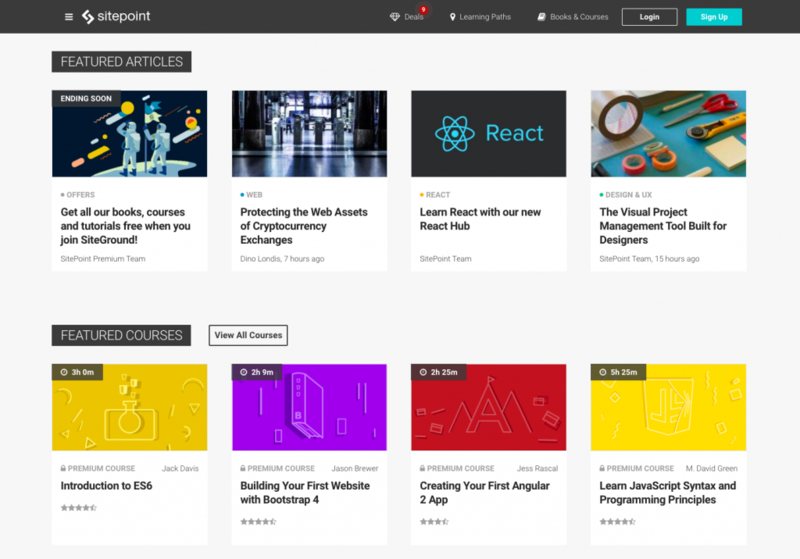 Scotch.io publishes web development courses as well as tutorials on popular frameworks and libraries such as Angular, React, NodeJS and Laravel. BoagWorld and Headscape were founded in 2002 by Marcus Lillington, Paul Boag and Chris Scott. Boagworld is mostly known because of their web design shows, an audio podcast which has 54 episodes on iTunes and the original Boagworld podcast which has over 200 episodes! It was the first podcast on web design. Over the eight years it has been live, it has won many distinctive awards. Topics on this site cover web accessibility, UX, content strategy, web design and development, digital strategy, marketing, mobile and more! I would really recommend you follow this blog, because it will expand your knowledge as a web designer and developer. 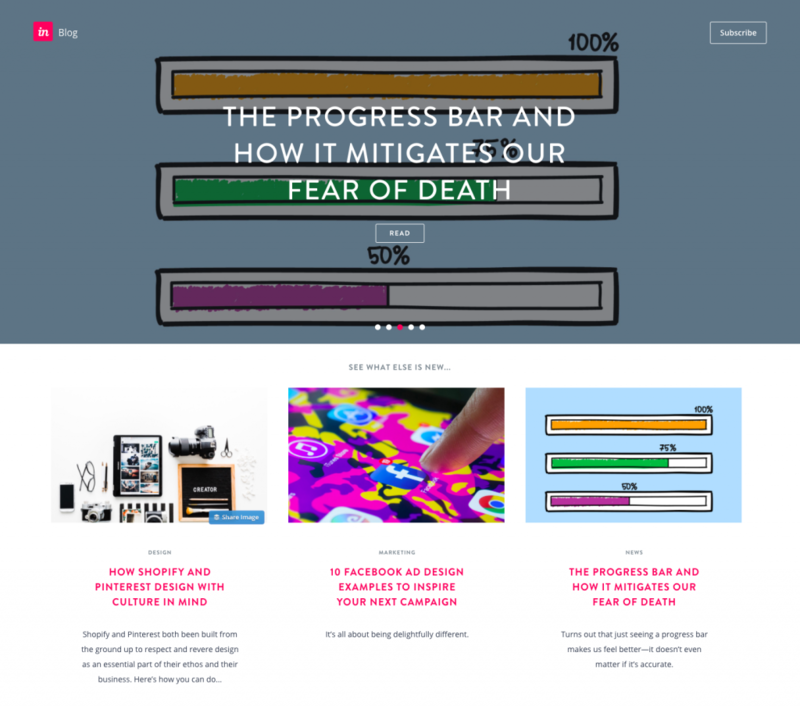 Onextrapixel is an online magazine and resource site for designers and web developers. 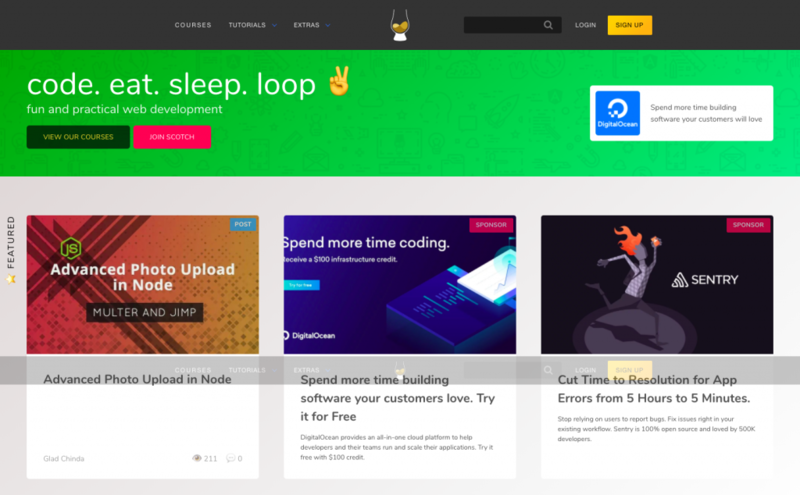 It focuses on useful tips, news, tutorials, tools and resources, on design, development, and other inspirational topics. 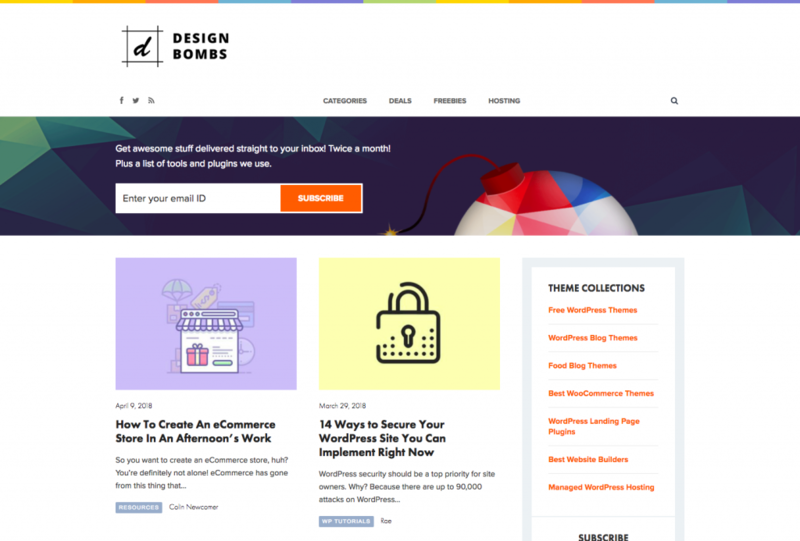 Design Bombs is covering several categories ranging from roundups of fresh website designs, WordPress, freebies and exclusive deals. Make learning a regular part of your ongoing efforts. There’s no way you can know it all, but if you make studying a habit, you’ll always be growing as a designer, and that’s what it takes to stay ahead of the competition. The trends online are constantly changing, so don’t get left behind. Keep up-to-date by visiting the previously mentioned blogs on a regular basis. And that’s a wrap! 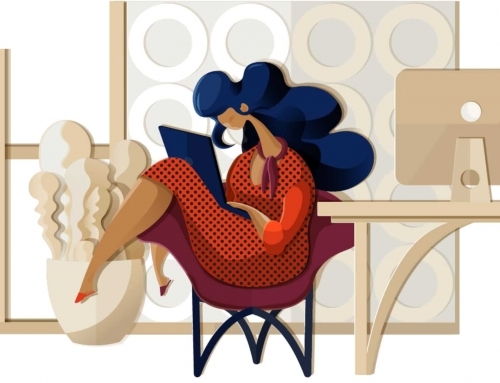 It definitely isn’t always easy to find the best or most up to date information on web design topics, but the above list of best web design blogs can help solve that problem as you move forward with your work in the new year. Which blogs from this list do you love the most and are there any others you think deserve a spot on this best web design blogs list?